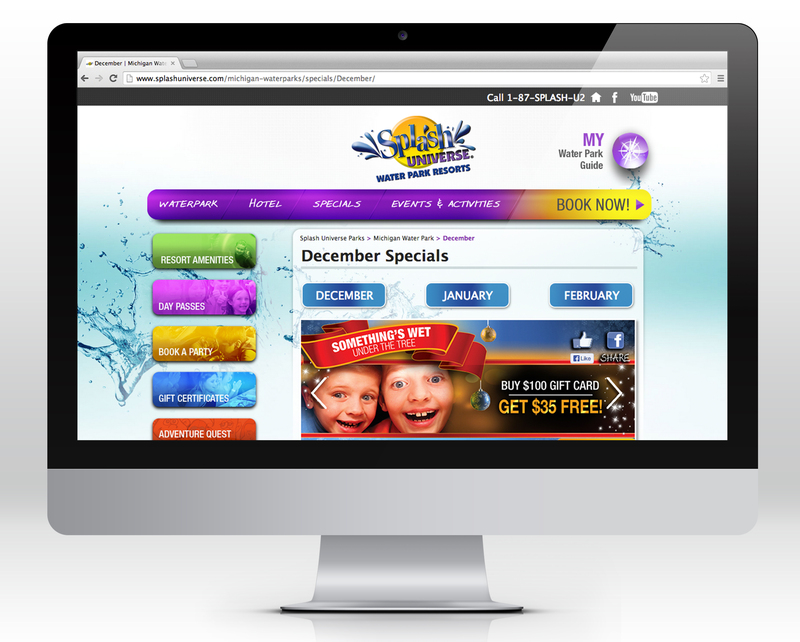 Project Details: IdeaSeat created a complete marketing campaign for Splash Universe. One of the main features of their program is their fully integrated website. To name just a few of the things users can do on the site- you can book a party, purchase gift cards, make a reservation, purchase Splash Specials, view an up-to-date calendar of events and enter the Splash Reading Program. The site is functional, easy to navigate and profitable.